Home » Examining various aspects of the industry and the extent to which the sector was delivering on its potential to be a driver of economic growth in jamaica. Government remains steadfast that its aspirational goal of five percent growth in four years (“5 in 4”) remains achievable despite underperformance in the first year of the strategy. Much of the optimism is based on expectations in the bauxite/alumina sector, new investments in tourism and BPO and other plans in the pipeline. Government remains steadfast that its aspirational goal of five percent growth in four years (“5 in 4”) remains achievable despite underperformance in the first year of the strategy. Much of the optimism is based on expectations in the bauxite/alumina sector, new investments in tourism and BPO and other plans in the pipeline. One acknowledged area of great potential is the construction sector. 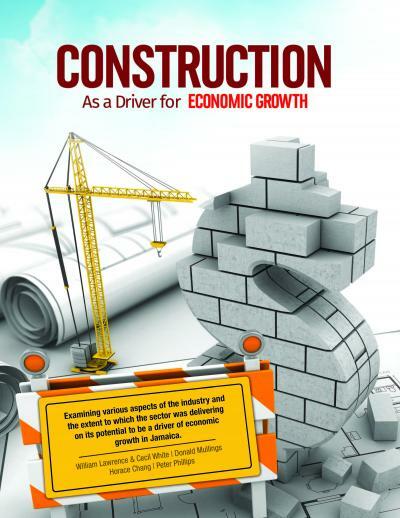 Against that background, this issue of the magazine features excerpts from four presentations at a recent Business Roundtable on Construction as a Driver for Economic Growth. The presenters identified some of the policy and practical problems that have to be resolved to ensure increased activity in the sector as well as the participation of Jamaican firms.